Keerthy Suresh's Mahanati has continued to make a good collection at the worldwide box office even on the weekdays in its second week and crossed Rs 60-crore mark in 14 days. Keerthy Suresh's Mahanati has continued to make a good collection at the worldwide box office even on the weekdays in its second week and crossed Rs 60-crore gross mark in 14 days. Mahanati opened to a fantastic response. It collected Rs 41.80 crore gross at the worldwide box office in its nine-day extended first week. The makers could not release it in enough number of cinema halls in its opening week due to unavailability of screens. They increased its screen count in the second week, as there was no other big release. Trade experts predicted that it would continue its dream run. As predicted, the Keerthy Suresh starrer continued to keep the cash registers ringing at the ticket counters all over around the world and surpassed Rs 50-crore mark in the second weekend. Mahanati collected Rs 13.20 crore gross at the worldwide box office in its second weekend, taking its 12-day collection to Rs 55 crore gross in the global market. The Naga Ashwin-directed biographical movie is also faring well even on the weekdays, as it is estimated to have grossed Rs 4 crore on Monday and Tuesday together. Mahanati has collected approximately Rs 59 crore gross at the worldwide box office in 14 days. As you read this article, the movie has already minted the much-needed Rs 1 crore to cross Rs 60 crore mark on Wednesday. Mahanati, which is biopic on the life of legendary actress Savitri, has reportedly been made with a budget of Rs 25 crore. The movie earned Rs 20 crore for its producers from the sale of its theatrical rights. The film has earned Rs 30.03 crore for its global distributors in 12 days. It has not only recovered their investments but also got them 50 percent profit share. 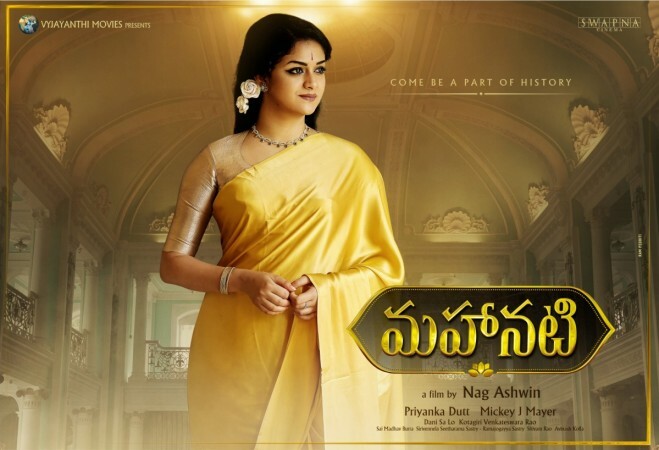 Mahanati has been a massive success at the US box office, where its collection is much more than its earnings in Nizam. The elated bosses of Nirvana Cinemas, who have distributed the film in the US, are holding a free screening of the film for the viewers above the age of 55 years on Saturday (May 26) as a token of respect to elders.